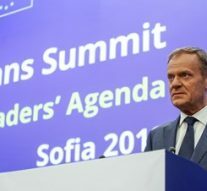 Last week EU Presidents and Prime Ministers gathered in Sofia (Bulgaria) to coordinate the current and future agenda with Western Balkans’ leaders from six partner–countries: Albania, Bosnia-Herzegovina, Serbia, Montenegro, FYROM, and Kosovo*. Leaders did not discuss just the benefits and the common challenges paving the way of the future inclusion of this area in the EU. Leaders took advantage of the Summit in order to deal with the relevant worrying issues arising at world level. First of all, Western Balkans will be soon European Balkans. The attendees endorsed a common agenda proving their special effort in building a shared idea of development and integration for the entire Balkan region. Leaders confirmed as well the EU to be the most reliable partner in the region. There has been developed a comprehensive programme toward smarter and easier travel connections within the region and to the Western Balkans. In particular, participants from both sides of the table agreed upon the Sofia declaration and adopted the Sofia’s Priority Programme: attached to the declaration. The programme set new instruments for an enhanced cooperation in the region, and six specific programmes tailored by the EU Commission on the necessities and aspirations of the Balkan leaders. Alongside the event, the Bulgarian Presidency organised several meetings which gave an idea about the real entity of the EU–Balkans relations, leaving aside formal intergovernmental aspects. On May the 16th, the EU Council for foreign relations and the Wilfried Martens Center for european studies – a think tank belonging to the European Popular Party (EPP) proximities – organised a conference named Dialogue with Western Balkans: creating a region for growth, security, and connectivity on the way to Europe. On May the 17th, the World Economic Forum organised together with the Bulgarian Presidency a strategic dialogue on Western Balkans. The aim is to promote the public–private partnerships in order to back investments in the region. EU leaders confirmed their efforts in building an “European future” for the entire region, in a fully european perspective. The EU is determined in strengthening the endorsement to the political, economic and social transformation of Western Balkans. Balkan leaders, from their side, reiterated the engagement in favour of this perspective, as a necessary strategic step to take in the view of a deeper inclusion within the EU group. It is crucial for the EU to keep on investing in this good neighbourliness. This inevitably would reflect an enhanced regional stability and a mutually prosperous cooperation among partners. As far as the security policy is concerned, participants discussed on how to face common challenges. One of the main areas of cooperation is related on how to stem the flow of irregular migrants. Secondly, EU leaders agreed on enhancing the cooperation against terrorism and radicalisation in the area, as well as cutting connections to funding sources, radicalisation networks, and the return of foreign fighters. It is important to highlight the load of work done by all the participants on agreeing useful measures to fight terrorism and strengthen security: all the parties accepted to fight back corruption and the organised crime – cruel virus still affecting institutions of several countries in this area of the European continent. On both sides, participants agreed as well on fighting misinformation and hybrid threats – these are hard times for who has to deal with fake news around the globe. Leaders discussed as well issues related to the broader international context, an in particular they analysed trade relations with the USA in the Trump’s era. The common approach defined during the meeting will strengthen the EU Commission in bilateral negotiations with the US. The EU is now ready to discuss trade liberalisations with US partners, only if the US government will lift tariffs on steel and aluminium. Further, the EEAS gave birth to the new “EU–Western Balkans’ itinerary of the cultural heritage ”. Several initiatives and events were organised in order to promote the rich Balkan cultural heritage, within the framework of the European Year of Cultural Heritage. The next EU–Western Balkans Summit will be held during the Croat EU Presidency, in 2020.